Just how bad is Taiwan’s spy problem? 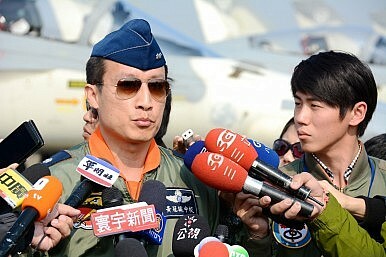 The optics couldn’t be worse — four Taiwanese military officers, including an Air Force pilot, a lieutenant colonel and a former Army major general, indicted on charges of belonging to a spy ring led by a Chinese intelligence officer. Oh, and the owner of a karaoke club, to boot. The January 16 indictments, which follow the arrest in September last year of Zhen Xiaojiang, the Chinese handler who was also indicted, are but the latest in a string of arrests on espionage charges in recent years. 15 cases were uncovered in 2014 alone. Has the Taiwanese security apparatus been completely penetrated by Chinese spies, as some analysts have been arguing? Maybe, but the extent to which systems and people have been compromised is anyone’s guess. The People’s Liberation Army is particularly interested in establishing a complete picture of Taiwan’s C4ISR architecture, radar and air defense systems, as well as war preparedness plans, a focus that has been confirmed through the string of arrests over the years, including the latest case. Despite warming ties between Taiwan and China since 2008, espionage efforts against the island-nation never abated; in fact, substantially increased contact between the two sides created a wealth of opportunities for intelligence collection and source recruitment by China. The PLA’s rationale for stealing secrets from Taiwan is self-evident: Beijing does not recognize the existence of Taiwan as a sovereign state and regards it instead as a province awaiting “re-unification,” by force if necessary. Despite views to the contrary, Taiwan remains a so-called “core interest” of Beijing, and President Xi Jinping has stated that he hopes to resolve the Taiwan “issue” during his term. It goes without saying that if force were used to resolve the “issue” — that is, preventing a permanent state of division through the de jure independence of Taiwan — the Chinese military would seek to exploit the weaknesses in Taiwan’s defense establishment. To be able to do so, it must gather intelligence, recruit agents, and have sources in the many agencies that would play a role in a military contingency. So of course Taiwan has a serious spy problem on its hands! It was, is, and will remain an intelligence priority for the Chinese. However, damage assessments in the wake of a Chinese op should not be limited to the information that was, or may have been, stolen. Just as important are the propagandistic aspects of Chinese intelligence gathering, which are felt not when agents access classified information, but rather when they are caught and their activities are exposed. For all the bluster, Beijing would much rather “win” Taiwan without having to fire a shot in anger. War is a messy adventure and its outcomes are unpredictable. Even if the PLA had the ability to prosecute a “quick and clean” war over Taiwan, which is by no means certain, the consequences would be dire for China, both in terms of the human cost and the blow to China’s image internationally. Better, then, to win without a fight, a strategy that certainly isn’t alien to Chinese culture. Ironically, most defense analysts in Taiwan and abroad do not seem to be all that interested in understanding the propaganda component of China’s offensive operations against Taiwan. Through propaganda, Beijing aims to undermine Taipei’s image, further isolate Taiwan within the international community, and destroy morale in Taiwan. Consequently, whenever an espionage case is brought to light — regardless of the seriousness or nature of the incident — it tends to reinforce the notion that Taiwan is crawling with Chinese spies and therefore cannot be trusted with secrets or advanced military technology. The ramifications for intelligence sharing and arms sales to Taipei can be serious. Even careless operations in which agents are likely to be exposed can yield propaganda benefits for Beijing by damaging Taiwan’s reputation as a reliable security partner. In some cases, being caught could very well be the main goal of an intelligence operation! Worse, Beijing’s propaganda ops broadcast the belief that Taiwanese can simply be “bought,” a view that simply doesn’t stand scrutiny. Western media have sometimes irresponsibly helped create that impression. For example, in an otherwise fine (if somewhat pessimistic) piece, Defense News writes, “The joke among many government officials in Beijing, according to media reports, is that it will be easier to buy Taiwan than invade it.” Unfortunately, the author doesn’t tell us which media reports he is referring to, or who the government officials are, not to mention whether they are qualified to discuss the matter or what their motivations might be for doing so. The spy problem puts Taiwanese counterintelligence in a difficult position, as successful operations, especially when they are made public, exacerbate perceptions of Taiwan as drywood infested with termites. During the détente period of President Ma Ying-jeou’s reign, the military tended to downplay the seriousness of the Chinese espionage problem, or punished those who, like this author, sought to draw attention to the problem. Politics then dictated that the negative aspects of the relationship, such as continued Chinese belligerence, should be papered over in order to ensure continued dialogue, President Ma’s main consideration. Top-down intervention was rampant, and agencies were instructed to remain silent on Chinese aggression. As a result, intensifying Chinese espionage (and military buildup) against Taiwan was relatively cost-free for Beijing: The consequences of exposure were next to nil, and rapprochement continued as if nothing had happened. However, relations soured in early 2014, by which time Beijing had lost patience with Ma over his “inability” to meet its timelines (for all his faults, President Ma has to deal with a democracy). Accordingly, Taipei reciprocated by taking a tougher line on China. Electoral considerations, growing apprehensions about China’s intentions in part due to the Sunflower Movement, and the need to appear strong on national security compelled the government to become more vocal on the China threat. Suddenly the National Security Bureau (NSB), the island’s civilian spy agency, was less reluctant to point fingers at China, and the government didn’t intimidate journalists who presented an overly pessimistic picture of the spy situation. Ma, who is widely regarded as the architect of Taipei’s “pro-China” policies since 2008, stepped down as chairman of the Chinese Nationalist Party (KMT) following his party’s disastrous performance in the November 29 “nine-in-one” elections.” The presidential election next year will likely force the KMT to distance itself from the embattled president, and the party’s candidate (Ma cannot run for a third consecutive term) will be tempted to adopt a more Taiwan-centric position to increase his or her appeal with the majority of Taiwanese. Taipei could therefore conceivably become more openly critical of China and more willing to expose Beijing’s bad behavior. So we should not be surprised if more spy cases come to light in the coming months. However, in order to fully understand the severity of the situation, we must look beyond the secrets that were potentially leaked and take into consideration the propaganda value of an intelligence operation — both the costs of exposure and Beijing’s motives for launching an op in the first place. In other words, while we should regard Taiwan’s spy problem as a serious issue, we must not overstate the matter: China might be attempting to make it look worse than it actually is.